Visit a set number (3,5,10,15 etc..) of salons (hair, nail, etc.) and stores, ask if you can place a display stocked with candles and accessories in the salon for a percentage of the sales. If yes, place a display with 75 candles and accessories. Visit salons weekly for inventory. When you check your display stand, you find 55 candles and accessories remaining, you have sold 20 candles/accessories that week. Owners at the retail location will sign an inventory control form stating the amount sold or stocked and are responsible for any unaccounted candles or accessories and will pay you accordingly minus a commission to the store.. Restocking of 20 candles will again give you a total of 75 candles on your display unit. You set the commission to the store owner, most stores will accept a 30% to 40% commission. Scented candles make excellent house warming gifts. Visit your local Apartment Complexes and Realtors, sell candles in bulk. You pay wholesale price for the candles and resell with a profit margin that you set. In the past few years this activity has become very popular. It’s another way to generate additional income. Candles parties work very similar to a Tupperware or Avon parties. The events are basically a gathering of guests where you would present the products. You would show a few samples, hand out samples, and explain the products to the group of guests. This marketing style is very effective. All of these “parties” are held in groups where one guest initiates a purchase, others feel obligated or just want to be involved. Studies show most people who make a purchase will buy 3 or more items. Your guests are a captive audience motivated to making a purchase. The items you are selling are disposable so you will be building a client base that will be coming back again and again. From your client base you can get referrals, that is how you can network your business. These individuals will re-order your products once they have tried your product, they have your contact information so they will return for reorders. Now you are in a position where re-orders are simple. If you choose to get involved with this marketing strategy, you should ease into it. First you should start by setting up a plan for these parties. Than set up how you are going to invite your prospects. Your first few parties should be in a comfortable environment with guests you know, friends, neighbors, and relatives. You start this way for many reasons. First, if this type of activity is new to you, you can practice on your presentation, you’re planning, ETC…. Secondly, your prospects are probably comfortable with you and thus will all purchase anyway. Swap meets & Flea Markets is another way to generate additional revenue. What makes these gatherings so attractive is the amount of people that go these events. What they are there for, and the perception that they are getting a bargain. How most business people start off is small and economical. You start renting a small table, section, or booth. Try to be located some where in the midsection of the show. It may be a little more expensive but what you’re looking for is traffic. You never want to be at the beginning because common buying psychology is “lets look around first”. Your selling price should be less than local stores in your area. Make sure to advertise the discount you’re offering. Example: 30 to 50%off or, 30 to 50% off store prices. Always use word like ___% Off, Discount, Discounted Candles, Special Price, Etc. On your signage. Always remember GAUDY IS GOOD when making Signs, or even advertising. Ebay is a low cost way of selling merchandise. The key to making money is finding products that people want and that you can get cheaper than others. 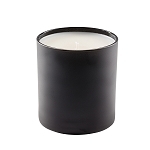 People want candles and our products are truely wholesale. Start by registering with ebay (it is free). We suggest opening a Paypal account so you can receive payments fast. Make your ads appealing to the eye, included detailed descriptions and pictures. Use the gallery feature to enhance your ad, people are less likely to visit your auction if they do not see a picture in the list of auctions. Be persistent, not every auction will sell. You may need to try several different designs before you find one that works. Visit other ebay sellers with high positive ratings. Learn from the people who are selling the most, Power Sellers!!! The team at A Candle Co. / Bell-A-Roma is here to help you. If you have any questions just shoot us an email. Your success leads to our success.